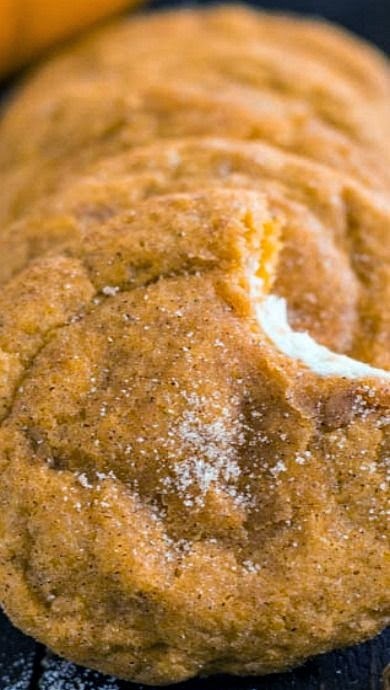 Pumpkin Cheesecake Snickerdoodles | FoodGaZm.. I made these cookies today and doubled the recipe so I could take half to class w me and keep the other half for my family. I didn’t put enough cheesecake filling in though so you got the cheesecake flavor but not the visual. I’ll do better next time! Every last cookie I took to class got devoured! And my family cannot get enough of them! They are amazing!